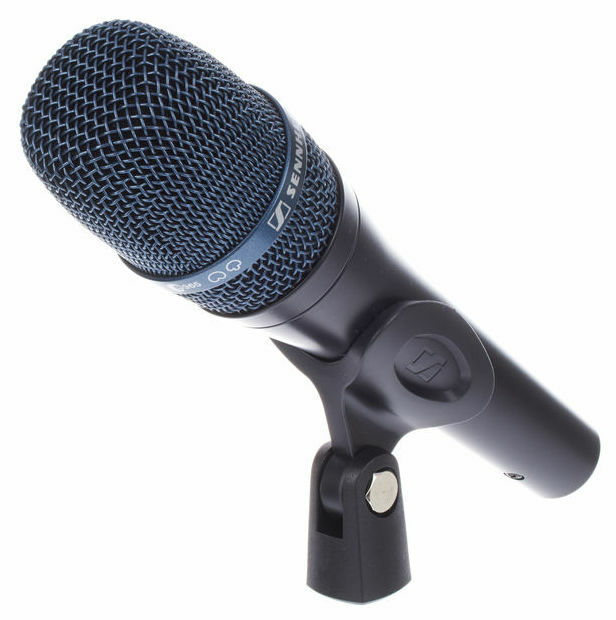 e 965, Dynamic Microphone from Sennheiser in the evolution 900 series. 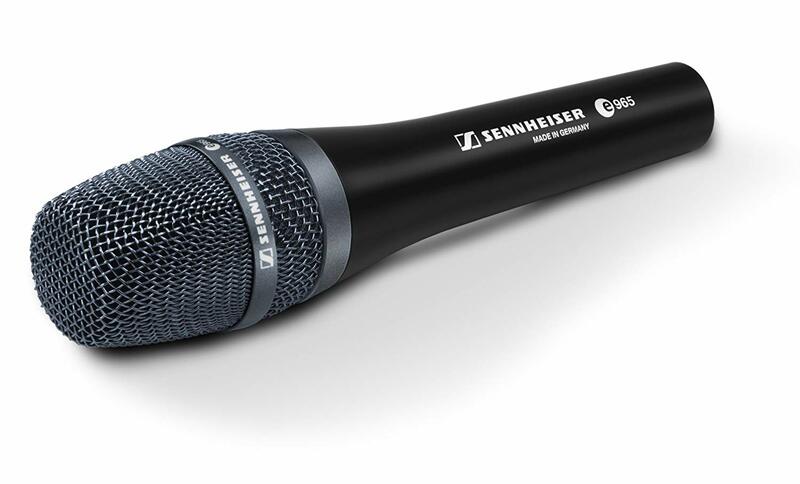 The Sennheiser E 965 is Sennheiser's top of the line microphone for live vocal usage. Naturally, it is a condenser, and it is actually a true, externally biased, large diaphragm condenser. Yes, you read that right. It is a large diaphragm condenser. 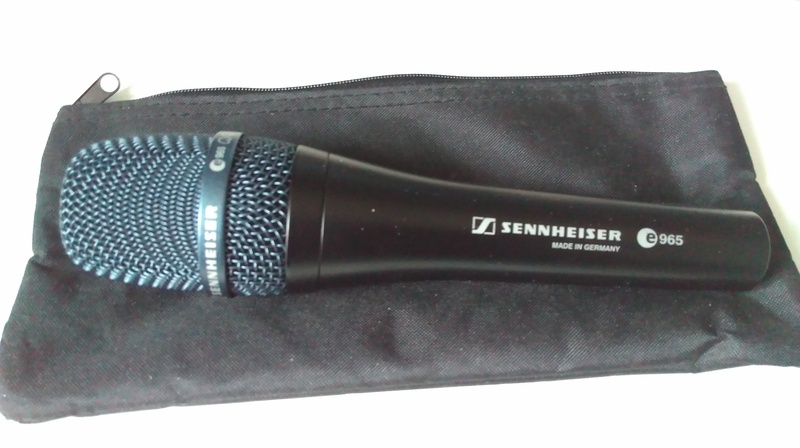 What makes this microphone especially interesting is that like the Shure KSM 9, the Sennheiser E 965 has been engineered to have multiple pickup patterns. The E 965 is capable of picking up sound both in the cardioid and the supercardioid pickup patterns. What I found especially nice about this option, however, is that it is not a switch that can be activated by accident by the performer, as it is actually located inside of the grill, which must be unscrewed to reveal not only the pattern selector, but a 10 dB pad, or attenuation switch. Before the pad, it is already capable of handling up to 142 dB of SPL before distorting, and with the pad, it can handle up to a whopping 152 dB. Combine all of these features with a low cut and an frequency response starting at 40 Hz and going all the way up to 20,000 Hz, and you not only have a microphone that is technically impressive, but is also a joy to listen through. Many may be wondering about the other choices, especially the big one, the Neumann KMS 104/105. What I have found is that the KMS microphones tend to give the sound that Neumann vibe, so they are fantastic for quieter environments, and color the sound greatly. The E 965 cuts through with extreme clarity and presence. 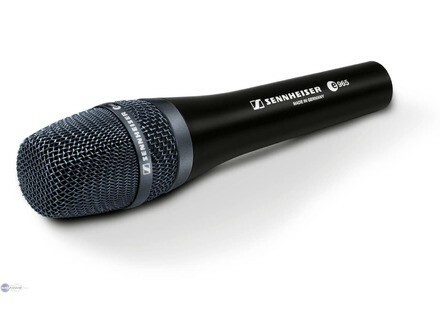 The Sennheiser E 965 is a very clear, present microphone that will without a doubt cut through a mix. If you have the money to shell out, and need a great vocal microphone, this is certainly an option, but the top microphones in this application are very well documented in their strengths, so you should go check them out! Sennheiser introduces the evolution e965 microphone, the brand's first ever large-diaphragm true condenser microphone.